Of the many prestigious races held throughout the world, none captures the hearts and minds of the nation quite like the Grand National. Everyone can remember, as a child, sticking a pin in the newspaper to pick a horse, the public’s near obsession with popular winners such as Red Rum, and the practical shutdown of the country for a quarter of an hour on a Saturday afternoon. But can you remember the biggest winners, the rank outsiders that won against all the odds? Although there have been many winners at odds of 25/1 and above, there have been only five 100/1 winners in the history of the race, and just in case they pop up in a pub quiz sometime, here’s how they won. The first 100/1 winner came in a race of 42 horses of which 41 fell. The race went ahead in terrible weather conditions resulting in a commotion at Canal Turn that left jockey William Dutton as the only rider to stay in the saddle. A friend of Dutton’s shouted before the race that he would only win if all the other horses fell, little did he know that he quite possibly jinxed the rest of the field resulting in one of the greatest racing upsets of all time. It took only a year for history to repeat itself when Greglach, ridden by Robert Everett, won the race by six lengths. However, Lady Luck had no hand in this win as Gregalach ran a fine race slowly gaining ground on the leaders. What made this incredible race so memorable is that Gregalach beat the legendary Easter Hero, overtaking him at the second to last fence before romping home to victory. It took almost twenty years to see our next 100/1 winner, and it arrived in truly controversial circumstances. Jockeys, bookmakers, and the general public were at odds with each other over the legitimacy of Caughoo’s win. That year a thick fog blanketed Aintree, and there was a suspicion that Caughoo’s jockey Eddie Dempsey hid behind a fence early on in the race. His detractors claimed that he then came out of hiding towards the end of the race to win by 20 lengths. Dempsey found himself an unpopular figure and was physically assaulted by another rider. However, years later, his supporters discovered photographs showing that he had indeed won the race fair and square. Two decades later the most famous long shot of all won the hearts of the nation and even had a fence named after him. Foinavon was still in the race, albeit quite far behind, with 27 others when a melee at the 23rd fence resulted in a mass pile-up. In a bizarre twist of fate, Foinavon’s initial slow start actually won him the race as he was far enough behind the pile-up to avoid it easily. 17 riders remounted and got past the other panicked horses and tried in vain to catch him but jockey John Buckingham would have his day, and Foinavon’s name went down in history. 42 years was a long time to wait for another 100/1 winner, but it was worth it. Mon Mome’s win was memorable not only for the fact that he was a long shot but also that the Venetia Williams trained horse was only the second Grand National winner trained by a woman. Mon Mome was also the first French-bred winner in over a century, winning the race by twelve lengths and ridden by Grand National debutant Liam Treadwell. So many reasons to love this winner. Although it’s been only eight years since Mon Mome came in at 100/1, it would be nice to see another this year. A look at the odds on Betstars shows us that we currently have 19 horses out of 40 with odds of 100/1. 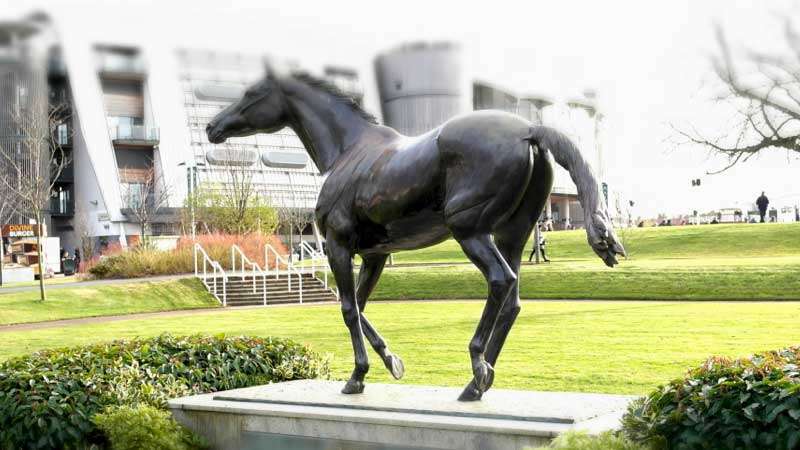 And while we all know that anything can happen at Aintree, it will take some catastrophic riding from the favourites or another melee like those in 1928 or 1967 to see our sixth 100/1 winner in Grand National history.